To view Representative Les Gara’s letter to KABATA regarding lack of oversight and public protection, please click here. Trustees for Alaska, et al. 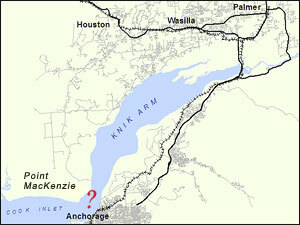 To view the press release issued by Alaska Transportation Priorities Project, please click here. To listen to the hearing, please click here, [Dead link- this hearing is no longer online.] then click on March 25, 2008 and listen to the Senate Transportation Committee hearing. To view comments submitted by Trustees for Alaska on behalf of the Alaska Center for the Environment, Alaska Public Interest Research Group, Alaska Transportation Priorities Project, Anchorage Citizens Coalition, Cook Inletkeeper, Government Hill Community Council, and North Gulf Oceanic Society, please click here. 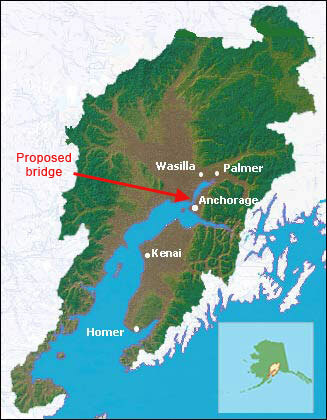 To read the August 8, 2007 letter from Anchorage Mayor Mark Begich to Alaska Governor Sarah Palin regarding Knik Arm Bridge and Toll Authority openness, accountability, and performance standards, please click here.